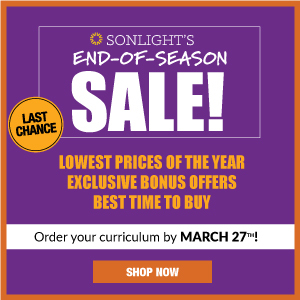 I read this article and wanted to share it with you: 7 Reasons to Buy Your Homeschool Curriculum in Early Spring https://blog.sonlight.com/buy-curriculum-early-spring.html. 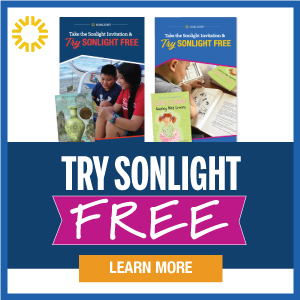 Although your new school year may be 4-5 months away, April is the best month to order Sonlight’s newest materials. 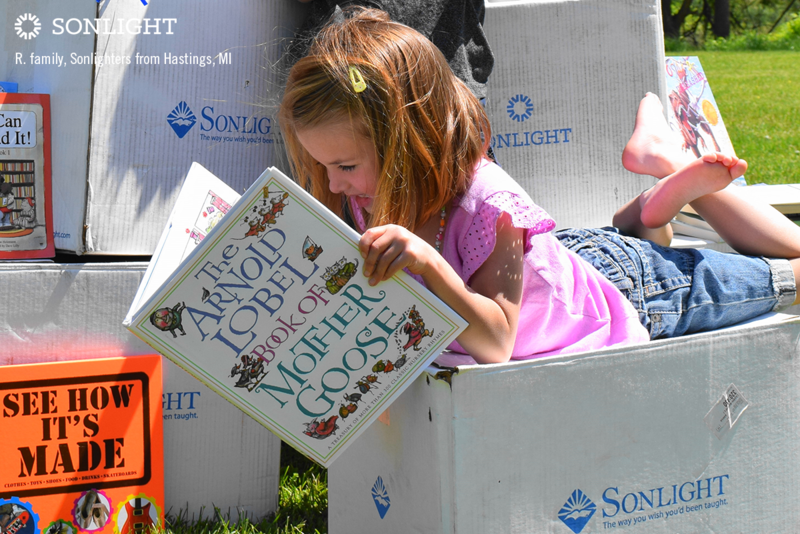 Here are 7 reasons why we think early spring is the optimum time for getting your new homeschool curriculum purchases squared away. 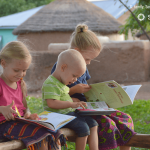 Because you are currently doing school, you know exactly what your children are working on and probably have some idea of what you’d like to do next. You know which subjects are really flowing, what your students are struggling with, and which brands you are really enjoying. You won’t have to scramble after a few months off to remember what you need —you’ll know precisely which things you would like to adjust while it’s fresh. 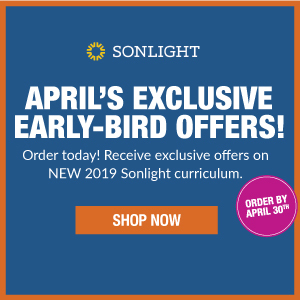 Buying your homeschool curriculum in April is easy, because you’re already thinking about school. So end on a high note, and be ready for next year. 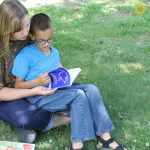 While your children are in the midst of the school year, working hard, they might have clearer thoughts on what they would like to change for next year. After a summer at camp and after days at poolside, they might not remember in as much detail. One of the quirks of the human brain is that it keeps returning to unclosed loops until you close them. Have you noticed this? You’re almost done checking off the boxes in your Sonlight IG, but that one unfinished assignment keeps popping up in your mind until you check it off. Or when you’ve already purchased next season’s clothes for your children…You don’t have to keep thinking, “How many pairs of shorts do the kids need? What if the weather suddenly turns warm and they don't have shorts that fit?" When you go ahead and mark those tasks off the to do list (whether on paper or mental), you can move into your next season with confidence. You’ve got what you need, and you are ready to start the next phase of life. When you buy your curriculum in April, you have maximum flexibility for the summer ahead and a school start when you want. 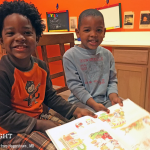 When you buy your homeschool curriculum in April, your brain can move from wondering, “What are we going to do for school next year?” to more productive topics. 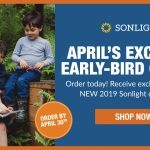 Order your Sonlight and take nine months to pay. No interest, no fees. Only available in April! 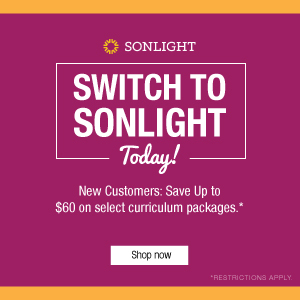 While you can contact a Sonlight Advisor at any point during the year, April is still early if you follow a schedule even close to the public school system. If you get your questions answered in April, you are ahead of the game. You can work with your Advisor on your education plan, and work out a system that works for you. When you order in early spring, you have your materials already at hand when you need them. You can enjoy your upcoming break with the knowledge you’ve already taken care of business and can start school again when you want. Additionally, you have ample time to do any prep you might like to do—setting up at your own pace, reading ahead, or cutting out timeline figures. 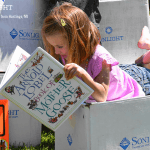 If you go to garage sales over the summer, you can be on the lookout for the specific items you might need—like book bins , crates, or other cute storage tools. Or you can watch Back-to-School Sales for rolling carts or school supplies, with a good sense of what you might need. With your school materials already in house, when you’re ready to organize, file, and close out the current year, the new materials are ready to take their place. This allows you to have one big organizational event, rather than an end-of-the-year putting away event and a beginning-of-the-next-year event. 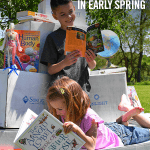 Basically, April is an excellent time to order your new homeschool curriculum. Enjoy clearer thinking, less stress, relaxed preparation . . . and, of course, all those bonuses. 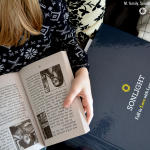 Request the newest Sonlight catalog.